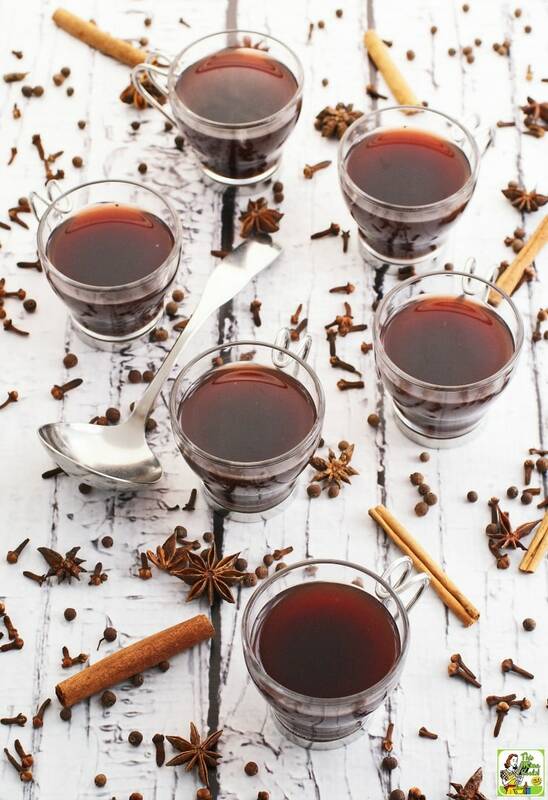 For your holiday party, serve up something different – Slow Cooker Mulled Wine. Now I know many of you may think cocktails and champagne are the way to go. 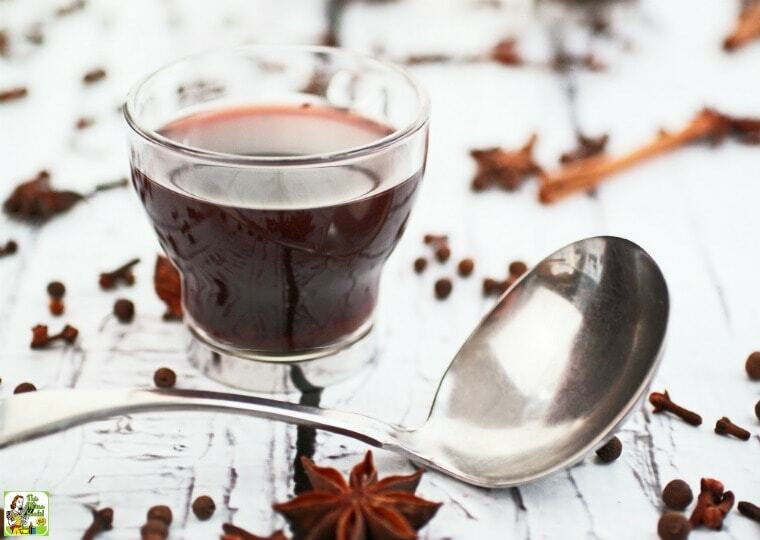 However, this simple mulled wine recipe is so easy to make. Plus, it’s such a convenient holiday party drink. That’s because crock-pot mulled wine can easily be kept warm in your slow cooker while entertaining. Bring Slow Cooker Mulled Wine to a boil on your Crock-Pot’s hot setting. This has the advantage of burning off some of the alcohol so your guests won’t get too toasty, if you know what I mean. Once you get it up to temperature, most slow cookers have a warm setting that should keep this slow cooker mulled wine recipe at just the perfect temperature for the rest of the night. Make a single or double batch depending on the size of your slow cooker. Finally, keep your punch glasses or mugs small! 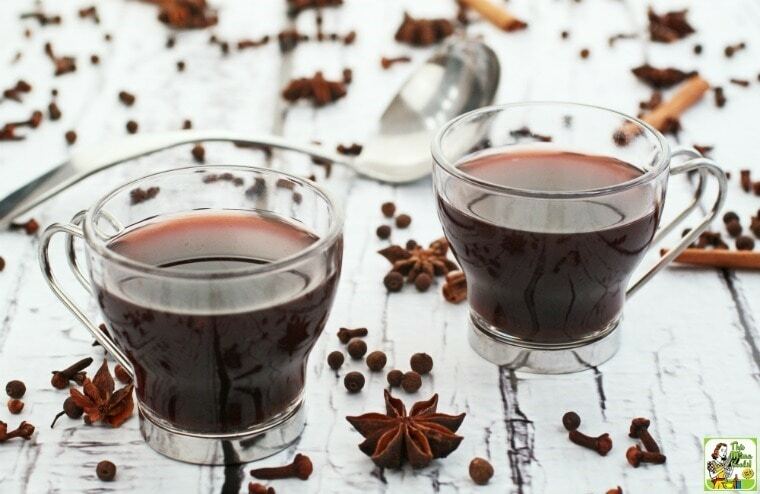 Mulled spiced wine gets cold quickly, and isn’t as good at room temperature as it is warm. Other different mulled wine recipe ingredients included using sorghum syrup as the sweetener. But if you don’t have sorghum in your neck of the woods, you can use maple syrup or honey instead. To make this slow cooker mulled wine recipe unique, I used balsamic vinegar as it adds depth to this holiday cocktail. However, depending on the red wine you use and how much you like balsamic vinegar, if you don’t think Slow Cooker Spiced Mulled Wine is sweet enough add a tablespoon or two of brown sugar. Delightful! Combine all ingredients in slow cooker set on high. Cook for approximately 2-4 hours (depending on your slow cooker) until mulled wine is boiling. Serve in small mugs or glasses. Originally published on December 24, 2013 and December 1, 2016. Updated with new pictures and information.